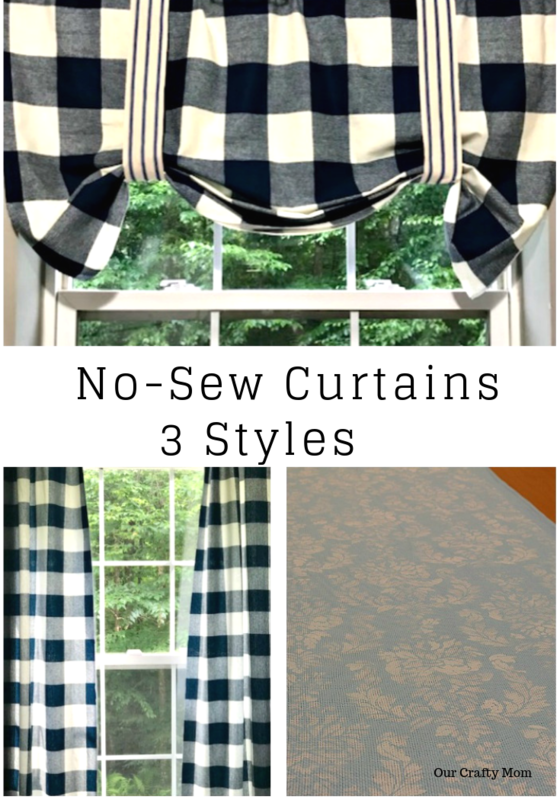 Quick & Easy No-Sew Curtains - 3 Options! 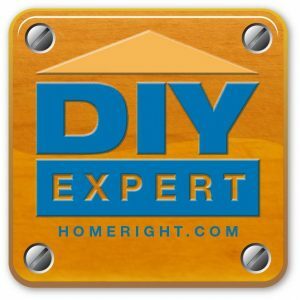 Home » Quick & Easy No-Sew Curtains – 3 Options! If you are like me and can’t sew, you will love these Quick & Easy No-Sew Curtains , with 3 different options, including a valance style, drapery style and stenciled version! 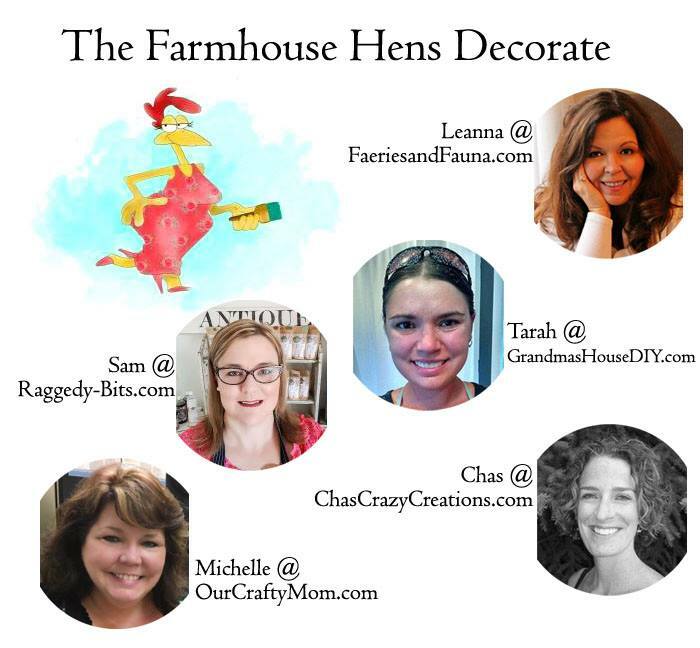 Welcome to this month’s Farmhouse Hens Challenge where we are all sharing window projects. I’ve been updating my craft room and bedroom and needed some inexpensive curtains for both rooms. I’ve talked many times about my inability to sew. I swear one of these days I’m going to learn. It is something I know I would enjoy. When my kids were younger and wanted patches sewn on their backpacks, they totally bypassed me and went right to their Dad! He told me he was on his own at a young age and didn’t have a lot of money, so he needed to sew. But I’ve always said I can “no-sew” with the best of them! Give me a glue gun or fabric glue and I am right at home! 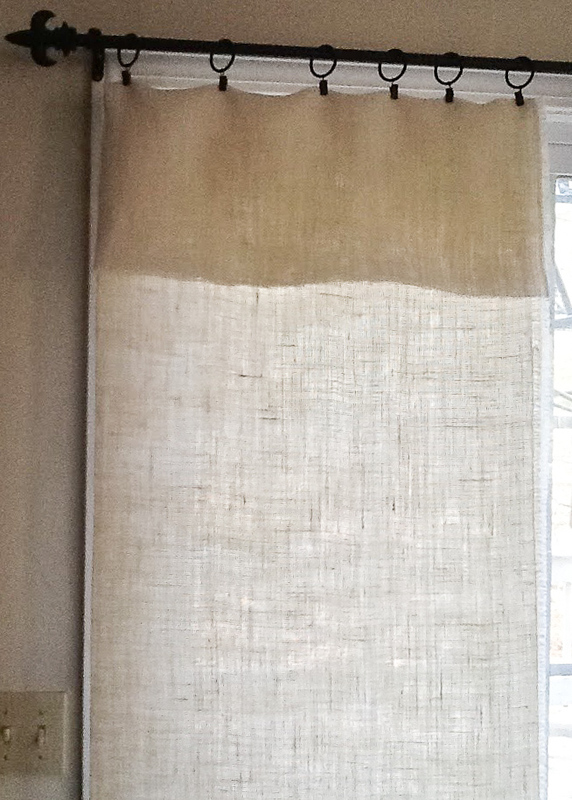 The first no-sew curtains I made were about ten years ago when burlap was hugely popular. I picked up a couple of yards of cream burlap and drapery curtain clips and I was hooked! 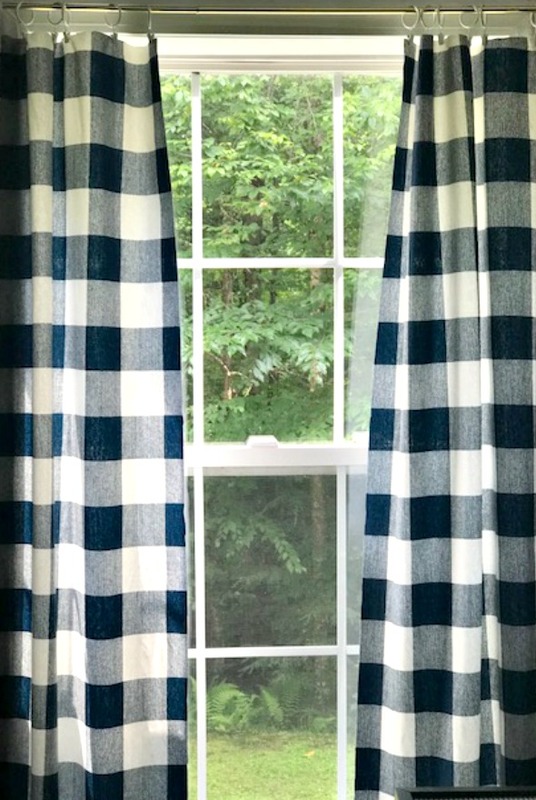 Today I wanted to share three different options for no-sew curtains that you can make in no time. If you sew, you can certainly sew these instead of using fabric glue. 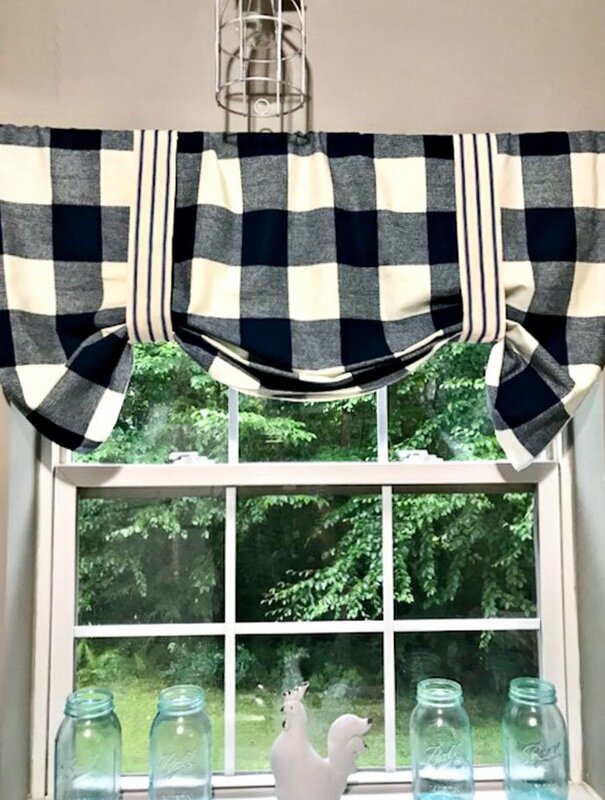 The first style is a valance style and these buffalo check curtains that I shared here are some of my favorite. It is hard to tell that these are not sewn-even in person. The fabric is literally folded over the curtain rod and the jute webbing is used to fold the curtain up in a balloon shade style. A touch of fabric glue keeps the jute webbing together. Drapery style curtains are great for pretty much any room. All you need is fabric and drapery clips and you can make curtains any length that you want to fit any size window. Let me show you what you need to make a pair of standard 56″x63″curtains. The hardest part is deciding on the fabric that you want to use! 2 yards of fabric of your choice-be sure to use a coupon! Simply lay the fabric lengthwise on a table with it folded in half, so you can just cut on the fold. It saves time and both panels will be the same size. Fold about 1/4″ on all sides and iron on the fold. Then use the fabric glue to create a nice, crisp edge. 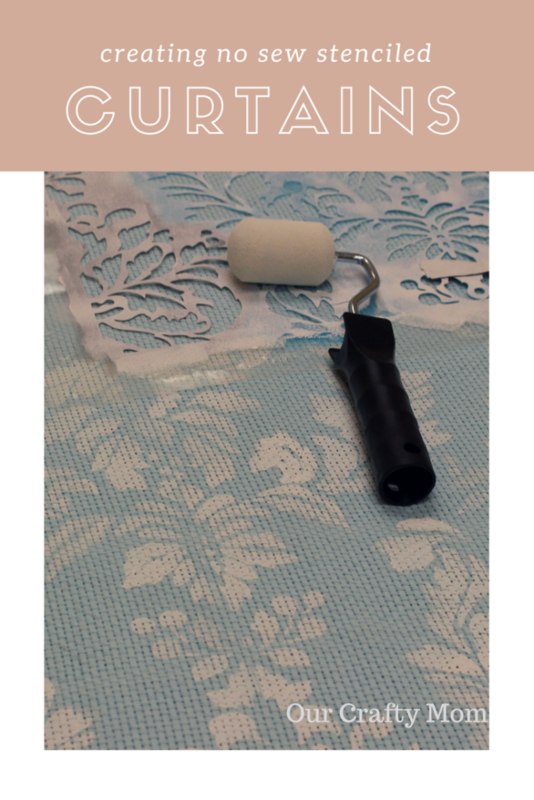 Once your curtain rod is hung with the drapery clips, simply attach the curtain panels. I have used this method on several different styles of curtains and I love how simple they are. 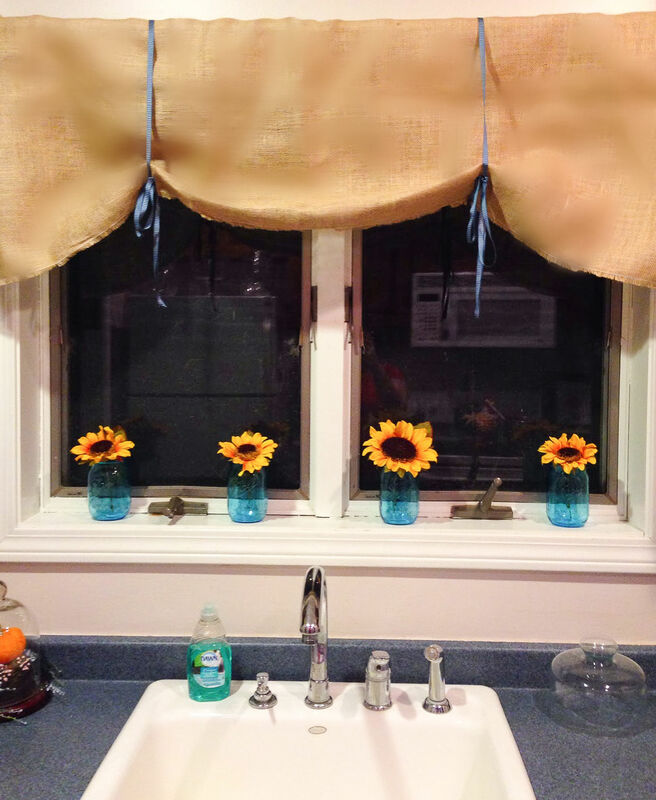 Remember I mentioned the first no-sew curtains I made with burlap? The picture is terrible because it is several years old-boy have phone cameras come a long way-but I wanted to share it to give you another option. 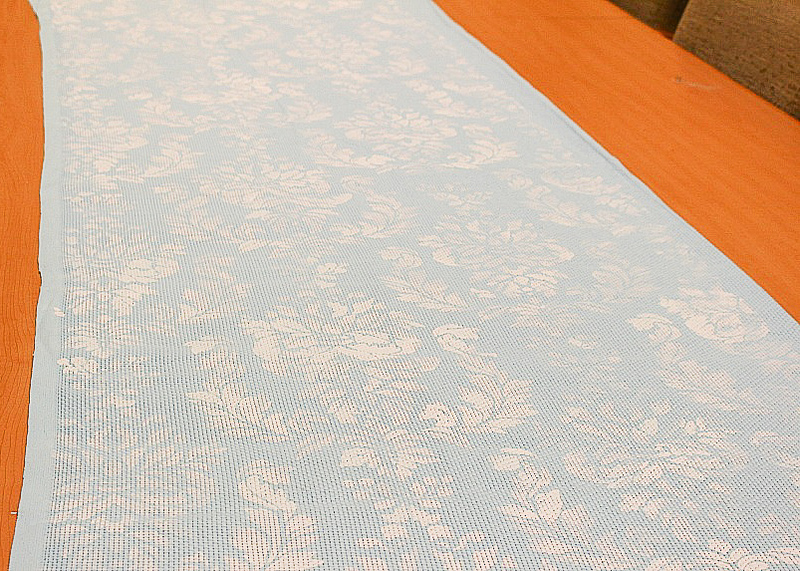 You can fold over the fabric to create a valance style top for the drapery panel. Pretty cool right? 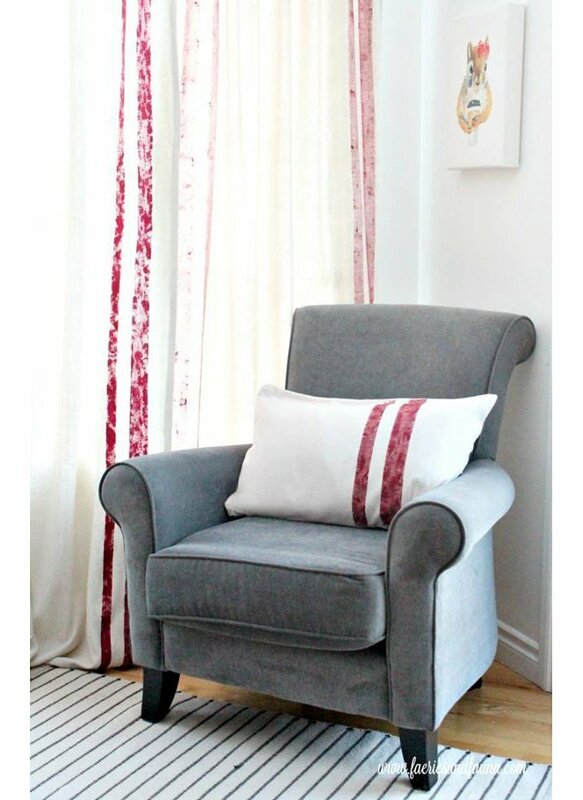 Another cool idea for no-sew curtains is to add a pretty stencil to fabric. You follow the same tutorial for the panels as above, but prior to hanging add a personal touch. 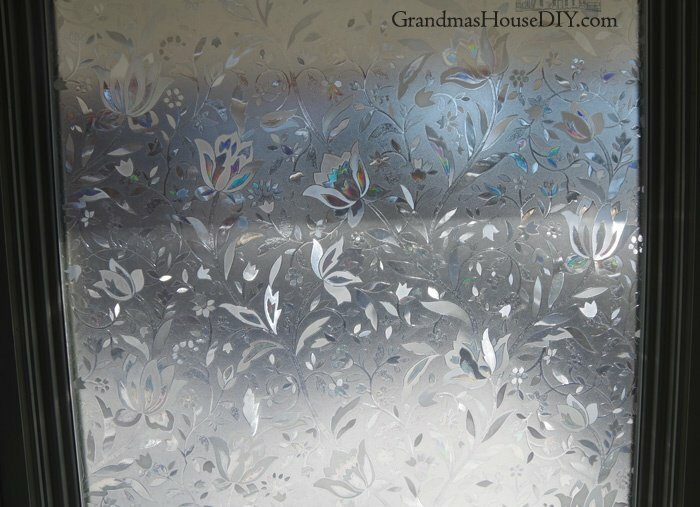 There are so many gorgeous stencils now and they really add a custom touch to curtains. 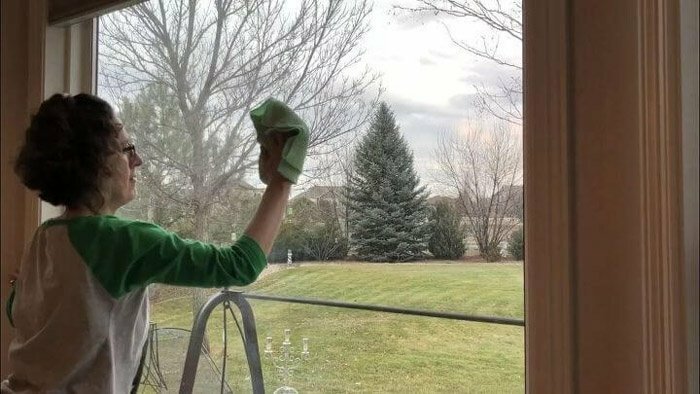 So the next time you are in need of curtains and want to save a little money, consider these quick and easy no-sew curtain options. If you’ve ever made your own curtains, I would love to see. Leave a comment with a picture below. Thanks so much for stopping by. Enjoy the rest of the Farmhouse Hens projects. These ladies inspire me each month with their creativity! This is a simple way to create custom window treatments. I always sew mine but I had not thought of the ballooning with ties. What a simply brilliant idea, noted and pinned. These are so cute and I absolutely LOVE the no sew. I barely know how to sew and when I try it’s never straight lol. 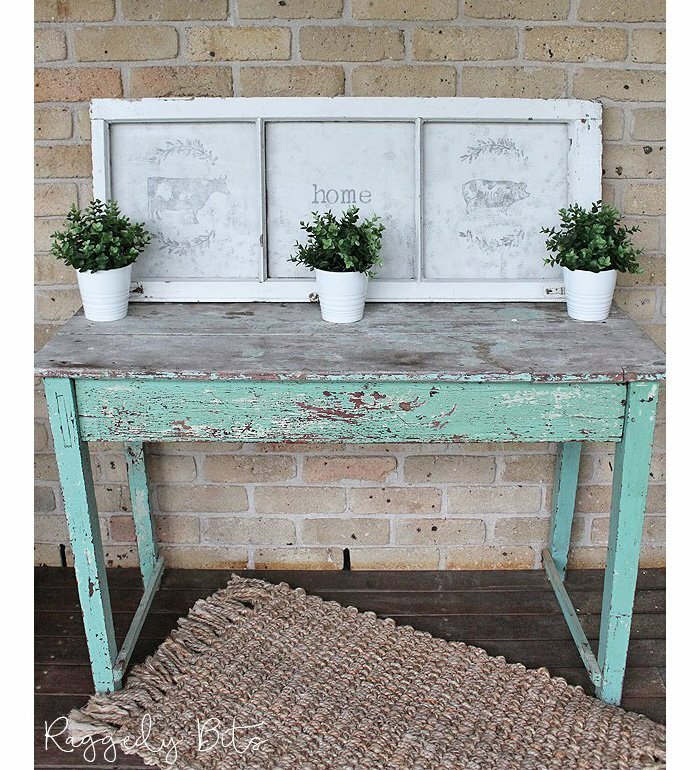 What a fun way to jazz up your windows and spaces! Bonus too that they are no sew! 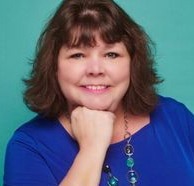 Thank you so much for sharing these great ideas!